DiRT 4, the rally game from Codemasters that was previously announced for Linux now finally has a date and it's this week! Feral Interactive just announced today that it's releasing this Thursday, 28th of March. As for the system requirements, Feral also announced those details today as well. As expected, it's going to be using the Vulkan API. They did say other distributions are expected to work, however they're not supported by Feral. As for graphics drivers: If you have an NVIDIA GPU you will need driver version 418.43 or later. As for AMD, it will need Mesa 18.3.4 or later. You will be able to get it from the Feral Store, Humble Store and Steam. As usual, I will take a look at the game after release since there's no prior access and let you know how it runs plus some thoughts. If there is a built-in benchmarking mode, I will show that off too. I should also be doing a livestream of it on release day, so do follow GOL on Twitch! Good to see more from Feral and there's other games on the way too remember. They're also officially porting Total War: THREE KINGDOMS, Shadow of the Tomb Raider and Life is Strange 2. Their work is always good, as is their support, so I do hope they continue after those titles. Surprisingly low hardware requirements, isn't it? Another racing game? Can we please have a Hitman 2 or something more varied? It feels like all we get lately from Feral is old rally racing games and RTS. Mix it up!! t3g It feels like all we get lately from Feral is old rally racing games and RTS. Mix it up!! I don't think that's up to them at all. Reviews seem to pretend that it's more arcade style than Dirt Rally and I think it might be a good thing. It's probably more realistic than that, but personnally, I miss a game like Dirt: Showdown. t3g Another racing game? Can we please have a Hitman 2 or something more varied? hitman 2 works perfectly out of the box with proton if you use steam. I miss a good racing game that has no DRM and no ads. 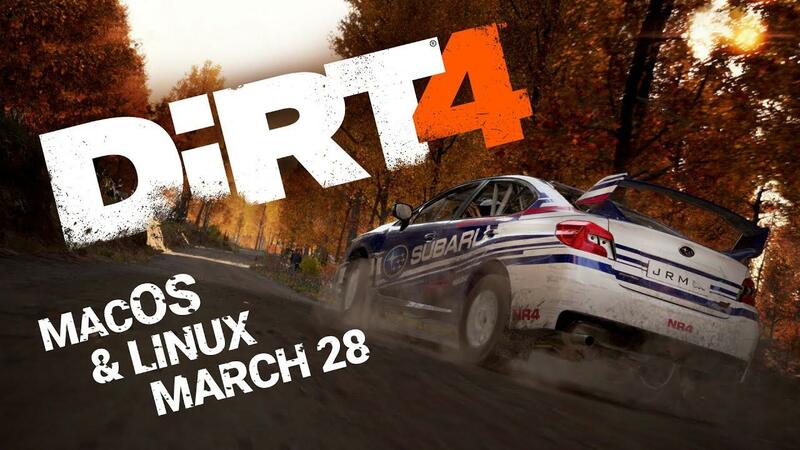 I really liked Dirt 3 but not really Dirt Rally, so I'm glad to see this coming for us! Quote If you have an NVIDIA GPU you will need driver version 418.43 or later. WTF for?? That seems really... stupid. why is that stupid? Feral maybe use Vulkan and for that it needs a Driver to support it or the specific Vulkan extension. To install the ppa which has the driver is really not a issue and if you use a Nvidia Card then you know already how to install a driver.